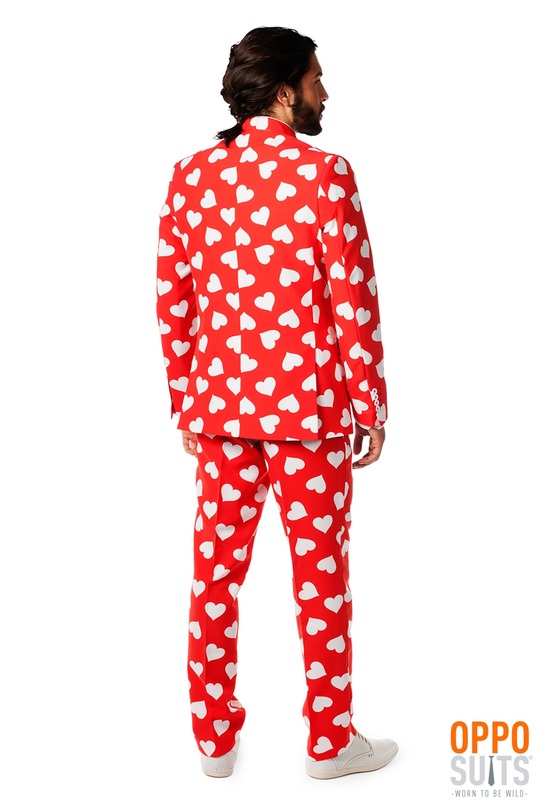 Like to wear your heart on your sleeve? 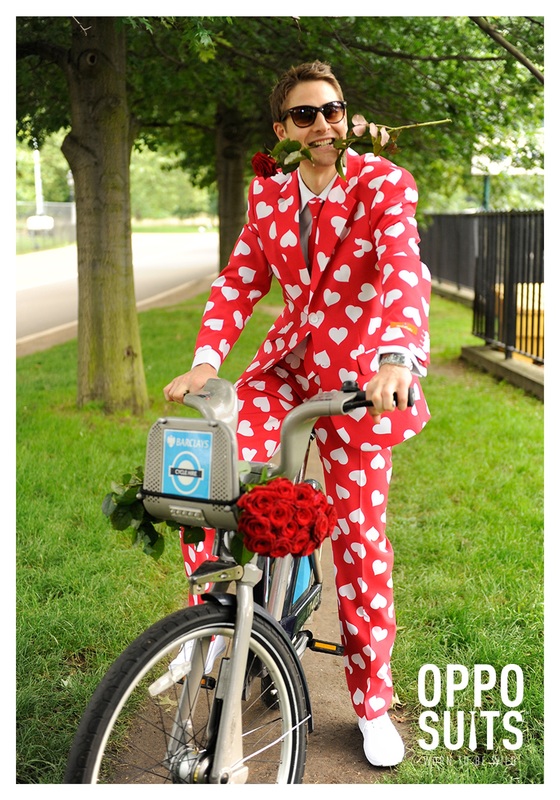 It doesn't have to be just an expression anymore! 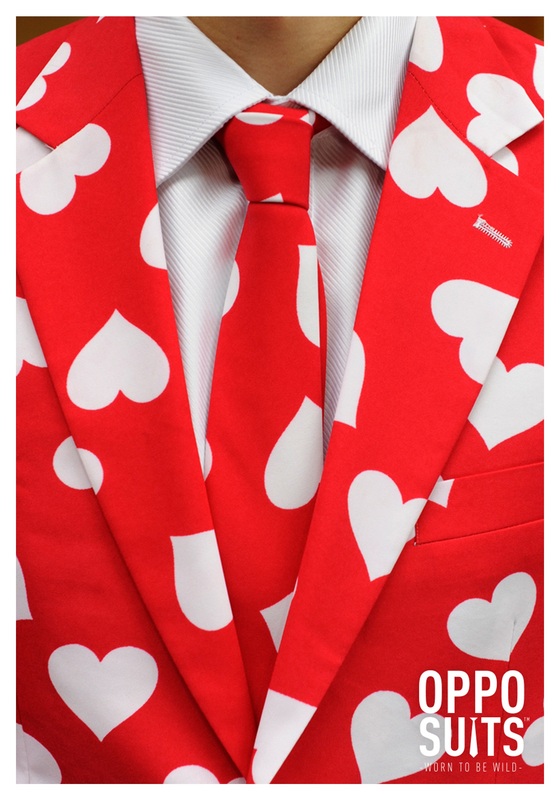 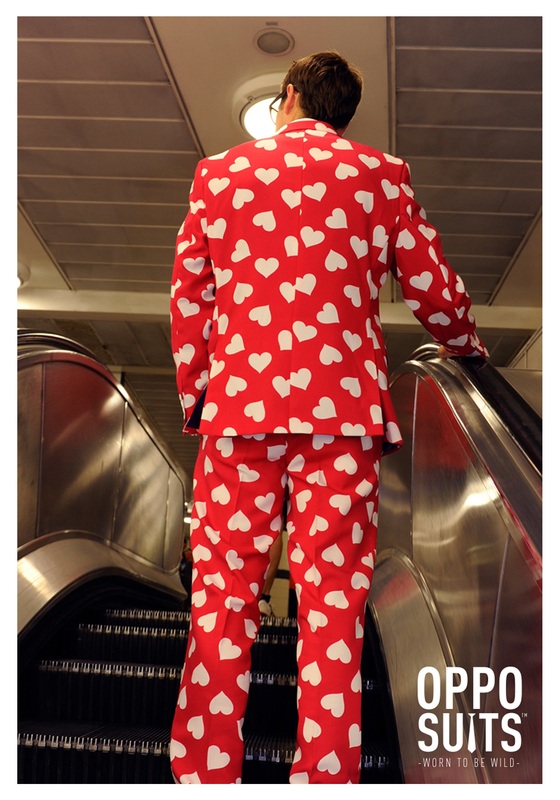 This Mr Lover suit, by Opposuits, features a charming hearts design. 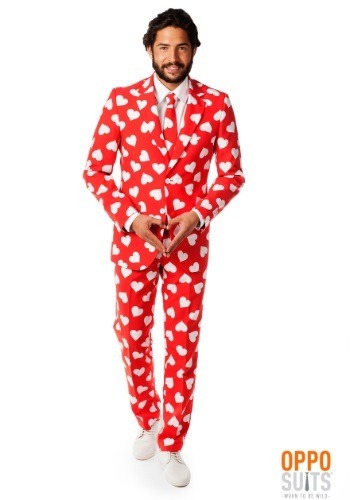 One of our staff wore this suit on Valentine's day, and his girlfriend proposed to him, on the spot! Whether you're in a LTR or hoping to make a certain someone swoon, this suit is the perfect choice for any romantic occasion.